The current revolution in commercial earth observation is making unprecedented amounts of imagery available from smaller satellites, microsatellites, video cameras in space, and high-altitude drones as well as more traditional sources. 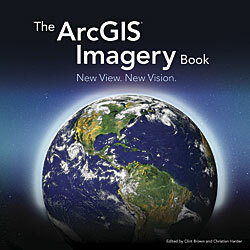 A new book from Esri, The ArcGIS Imagery Book: New View. New Vision., will show you how to exploit these new sources using the image processing and spatial analysis capabilities available with ArcGIS. The target audience is broad and ranges from students to GIS professionals to armchair geographers. Available in a print edition or as an interactive PDF, it will give readers a fundamental understanding of imagery and remote sensing and how it can be used with GIS. It provides hands-on experience working with imagery and remote-sensing data in ArcGIS via the book’s interactive companion website. The ArcGIS Imagery Book is the second in a series of books from Esri that provides an online learning experience that demonstrates realistic applications of the technology. Both make ArcGIS software available via the companion website or the interactive PDF edition so that readers can begin working with imagery in ArcGIS. The book looks not only at the fascinating history and rapid evolution of earth observation technology but also at modern earth imaging technologies being used in precision agriculture, forestry, mining, humanitarian aid, urban planning, natural disaster assessment, and climate and weather studies. Readers will learn what can be accomplished today, thanks to advances in ArcGIS, imagery, remote sensing, and cloud computing. Thought leadership pieces were written by industry leaders, such as Esri president Jack Dangermond; remote-sensing pioneer Kass Green; National Oceanic and Atmospheric Administration (NOAA) administrator Kathryn D. Sullivan; satellite architect Sarah Parcak; and director of the Esri R&D Center in Zurich, Switzerland, Pascal Mueller. 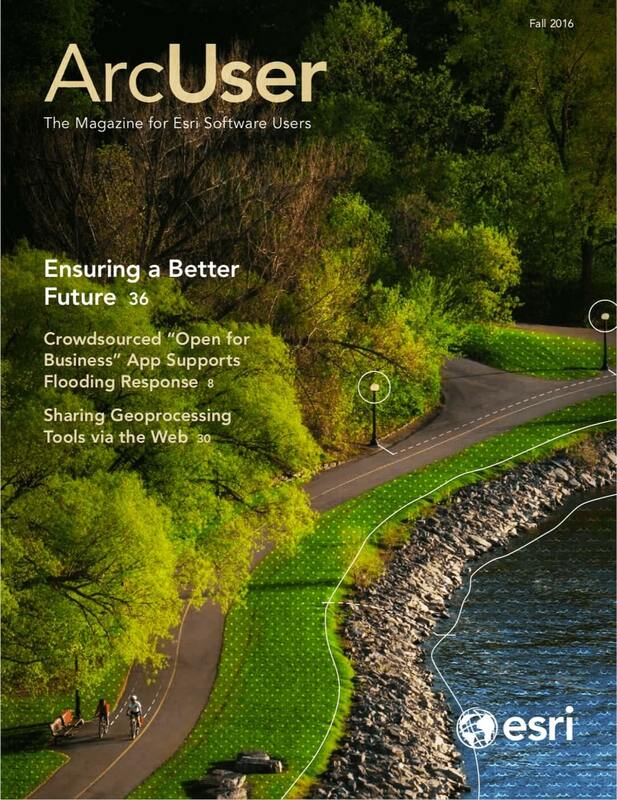 Obtain the print version of The ArcGIS Imagery Book: New View. New Vision. (ISBN: 9781589484627) from online retailers worldwide, at esri.com/esripress, or by calling 1-800-447-9778. Outside the United States, visit esri.com/esripressorders for complete ordering options. Interested retailers can contact Esri Press book distributor Ingram Publisher Services.